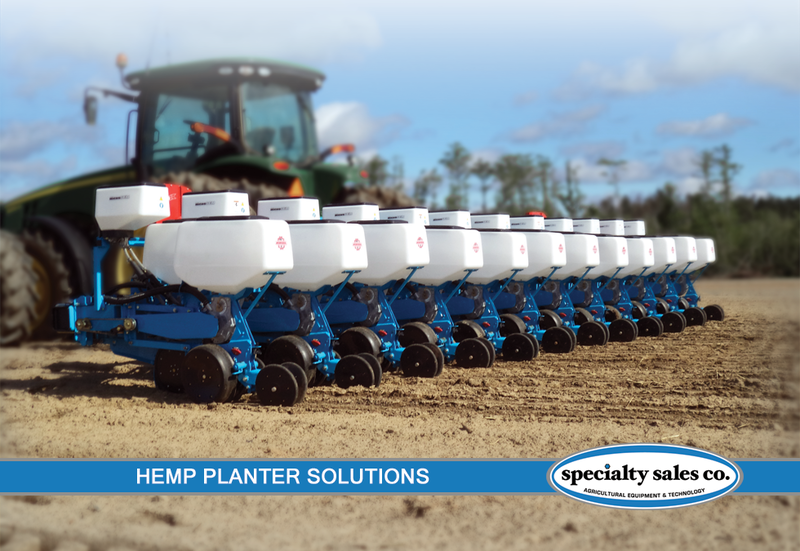 Hemp Planter Solutions at Specialty Sales Co.
Are you looking for a Hemp planter? Specialty Sales has the perfect answer. Do you plant seed? The Monosem NG+ planter accurately singulates and spaces small seed such as hemp. Many Monosem planters are in the field now planting hemp all across the United States. Extremely accurate seed spacing along with uniform depth control will put you on the right track for a successful hemp growing season. The Monosem metering unit will accurately singulate hemp seed. The ejector system directs the seed down the seed tube into the seed furrow where the closing system creates the most seed to soil contact. The precision of the Monosem Planter is the right choice when seed expense is an issue. The cost of hemp seed is high but so is transplanting. Hemp no-till planting is the way to go. When seed costs $1 to a $1.50 PER SEED there is no substitute for a Monosem Planter. Decades of experience in vegetable agriculture has given us many time-tested features that we have been able to apply to hemp planting. Make sure your most important pass is done with a Monosem NG+ Planter from Specialty Sales Company. Specialty Sales Co. can custom design and build seeders to your unique specifications. We also have innovative ownership opportunities that we can discuss with you. Contact Specialty Sales Co. today for more information. Specialty Sales can custom design and build hemp transplanters to your specifications. We have innovative ownership opportunities that we can discuss with you. Do you plant hemp clones? The Checchi & Magli Trium Transplanters are the number 1 transplanters for hemp clones. The Checchi & Magli Wolf Transplanter plants clones through plastic mulch on raised beds. 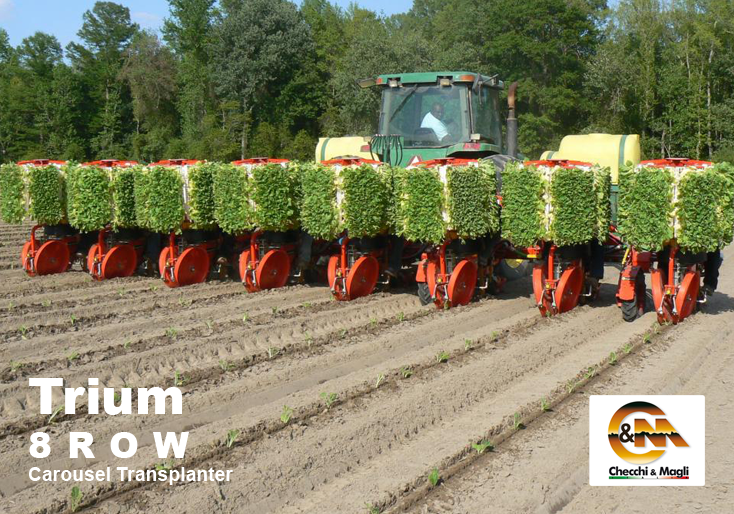 Trium equipment is ideal for transplanting hemp clones. Units are also available with “No-Till” options as well as Pull-type or 3 point hitch. Here are some popular options and advantages.